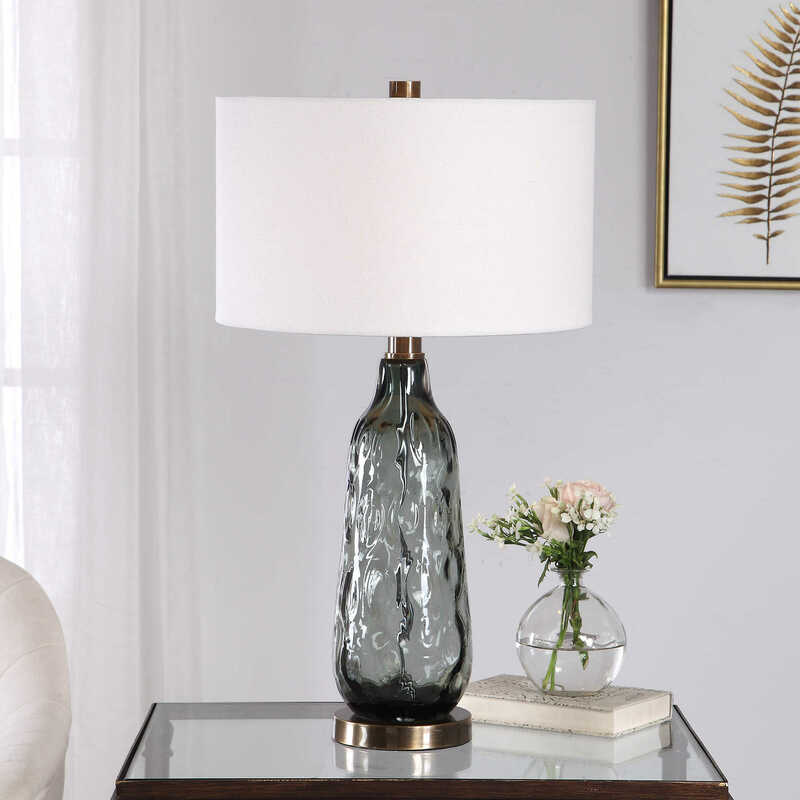 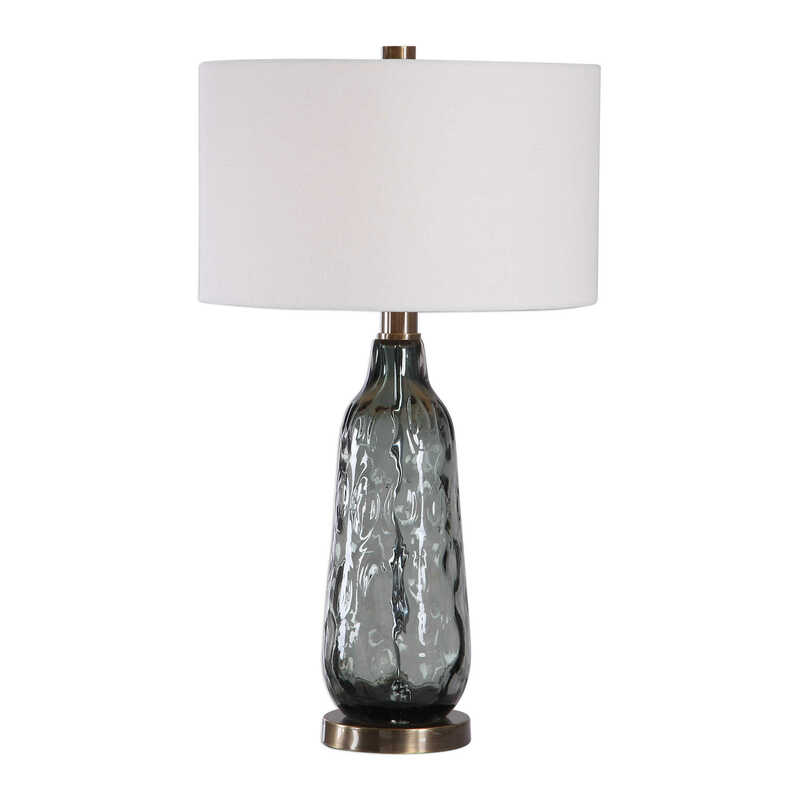 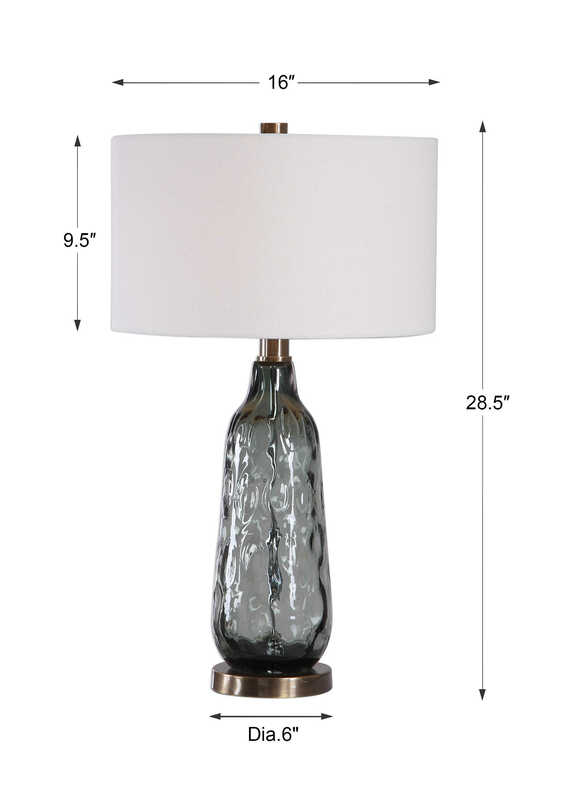 Modern elegance is added to a space with this table lamp design. 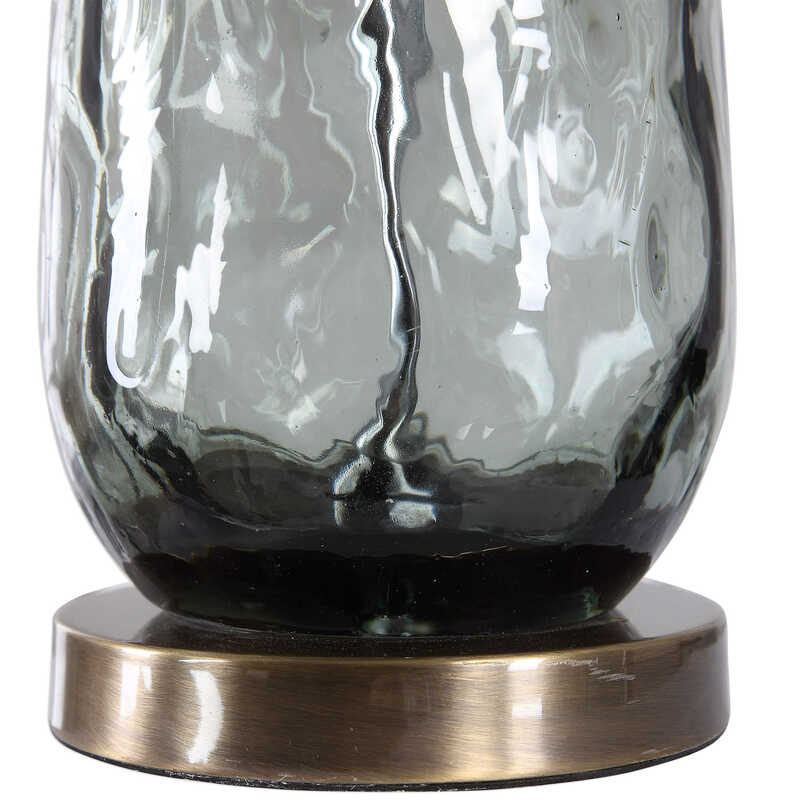 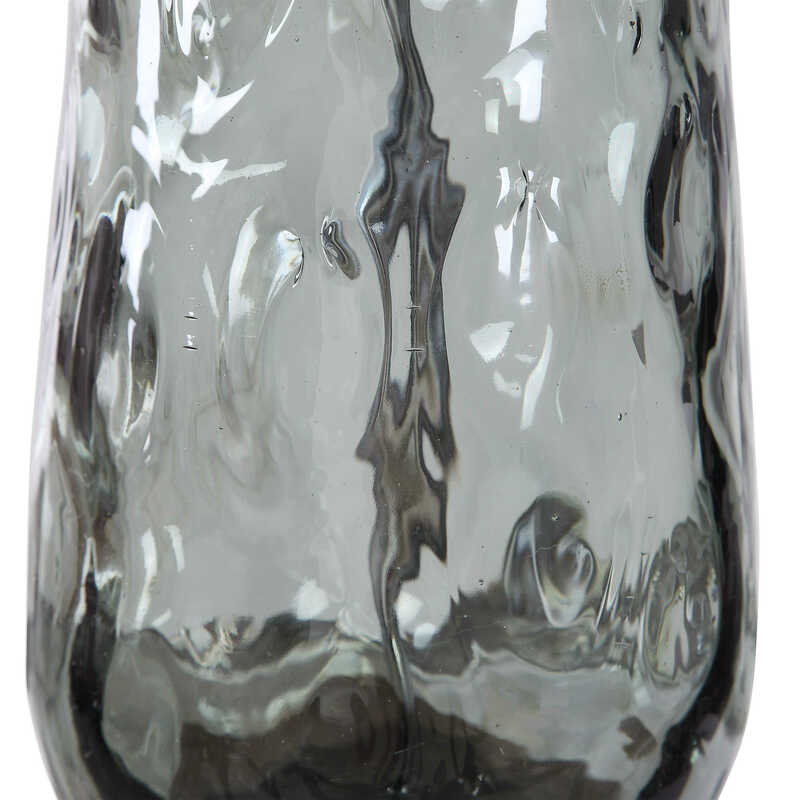 Each piece showcases thick water art glass in a translucent blue gray, accented with antique brass plated details. 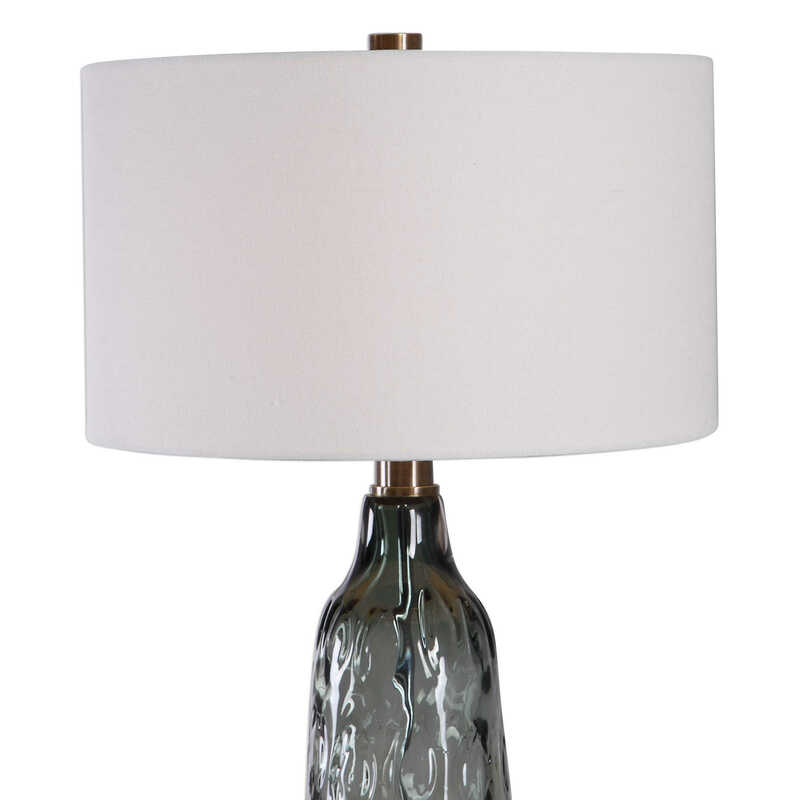 The round hardback drum shade is a white linen fabric with natural slubbing.